I used to love going boxing shopping! But since last year I don't like it as much, I hate the crowds and waiting in long line ups. This year I ended up getting everything I wanted for Christmas so there wasn't much that I needed to get. Hubby did some online shopping so he didn't need to go out either. But we went out for brunch and decided to check out some small stores around our house. My sister ended up going to the mall so I made her pick me up one of the $12 deals that Sephora had going on in stores. I got the iron holder, and nail polishes from Winners. The curling wand I found at Wal-Mart. 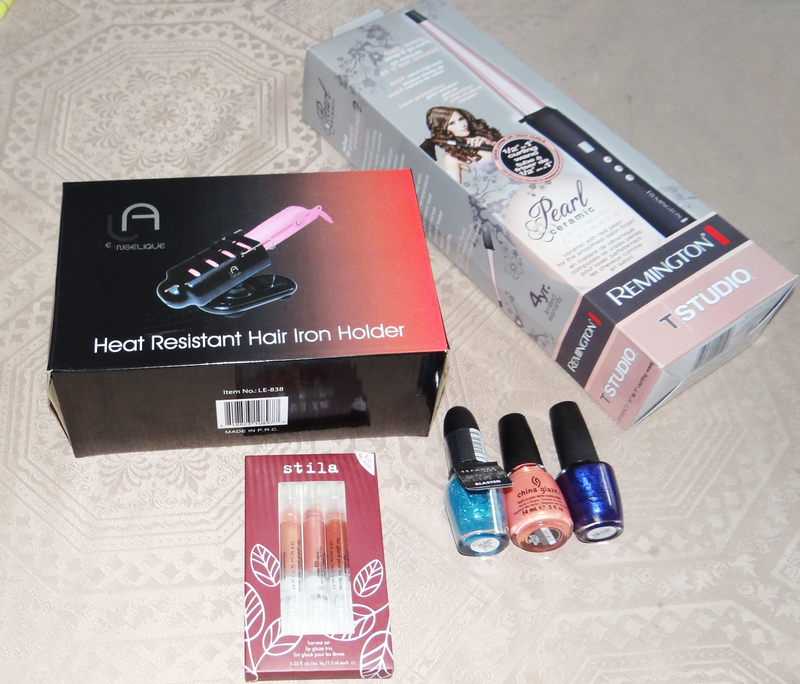 Heat Resistance Hair Iron Holder ($7.99 CAD), Remington Ceramic Pearl- Infused 1" Curling Wand ($23 CAN) , Stila Lip Glaze Trio in Harvest ($12 CAN) , Sephora by OPI Blasted Turquoise Glitter ($3 CAN) , China Glaze Bare If You Dare ($5.99 CAN), and OPI Tomorrow Never Dies. ($7.99 CAD). How was your Boxing Day? Did you get any good deals?